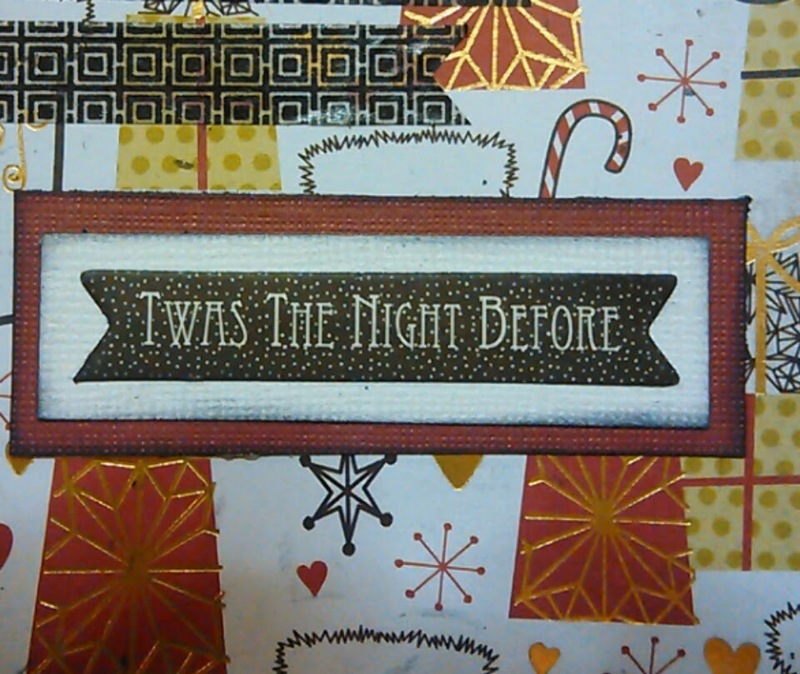 Precious Pages by Paula: A BIT MORE OF CHRISTMAS! 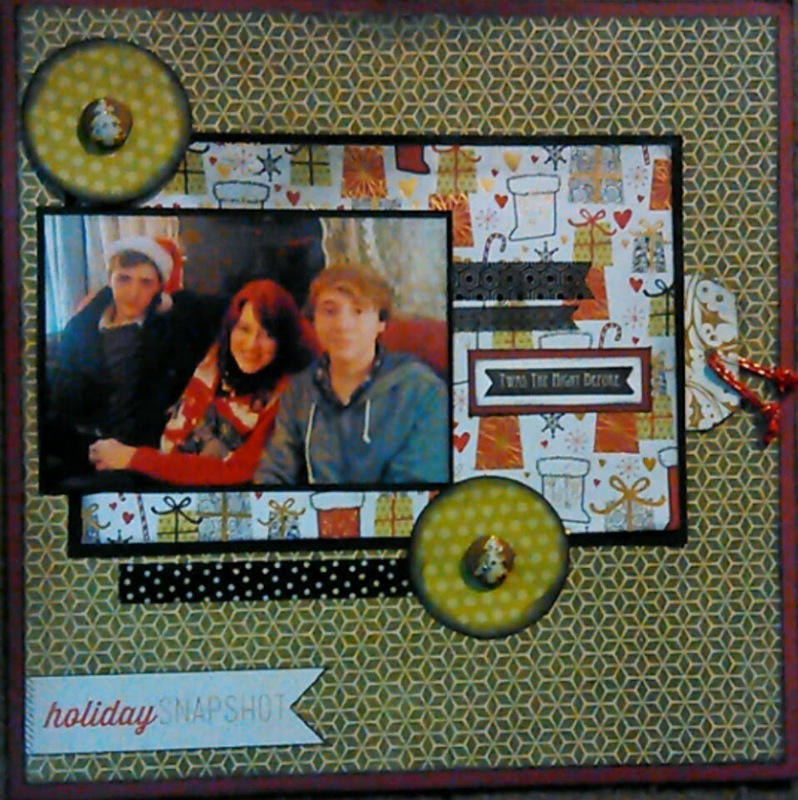 Today I am sharing another Christmas layout with you using Soul Scrappers Sketch challenge SC87. I have decided that I want to get as much of this Christmas scrapped as possible since I have not done all of the last several Christmas'. as lights on the tree. that was just perfect for the photo I chose. 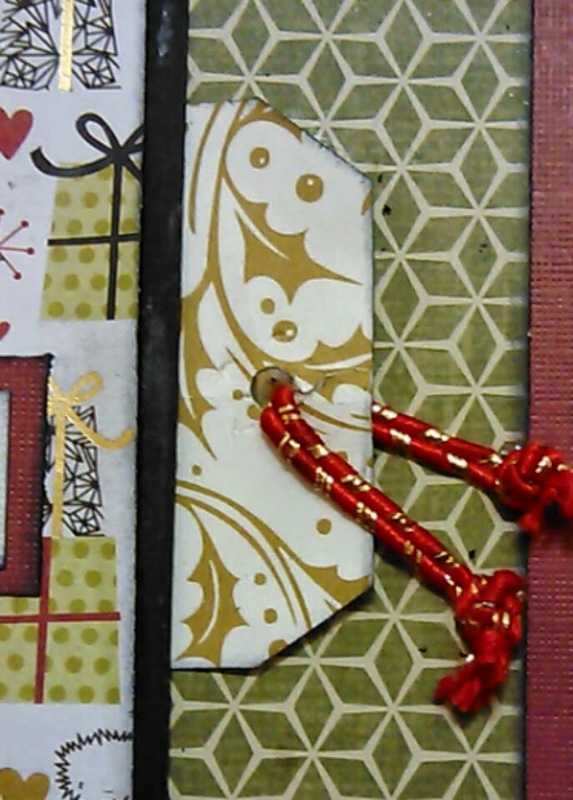 Here's a tag with some great cording I used through the hole. but it pulled it right through! 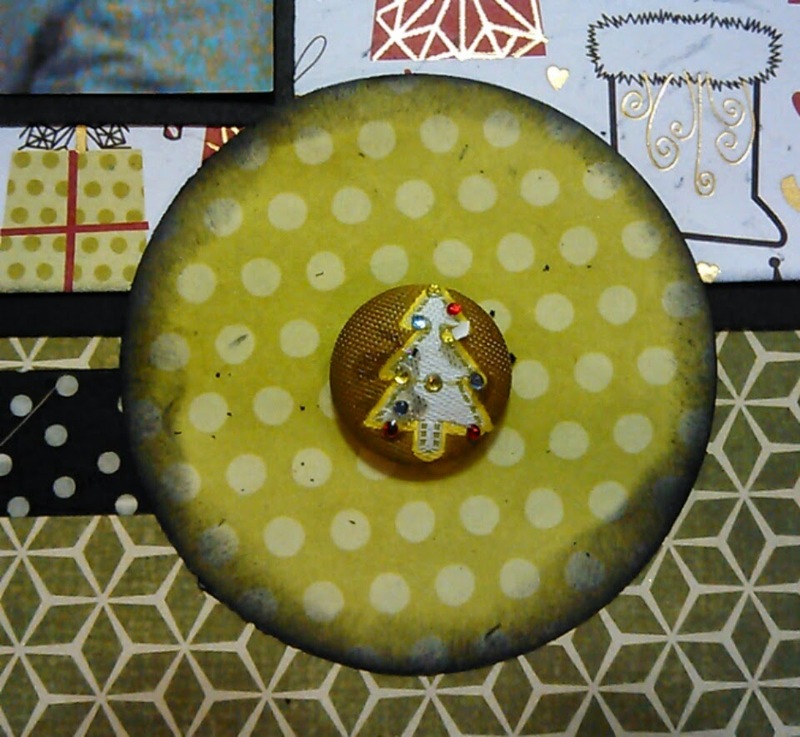 I thought this little chipboard accent was perfect as the photo was taken on Christmas Eve. When I put it on the printed paper it got lost and I wanted you to be able to read it so matting it on white helped with that but then it got lost on the paper so I matted it on the same cardstock I had used for the backing of the page. And finally! The finished project! I was not very happy with the way the photo shop printed the photo as it was a bit grainy even in this standard 4x6 size so I am hoping that I can get a better quality reprint at a different shop soon and replace it! Thanks so much for stopping by. I hope that you will take this time to stop by Soul Scrappers and have a shot at the sketch too or at another of the many fun challenges we offer!